All dingies will be removed from the foreshore by June next year. At two community workshops last week, dozens of boat owners expressed their frustration about a total dinghy storage ban being phased in that would result in dinghies being removed from the foreshore by July next year. One boat owner stormed out of the meeting after he said the City had made up its mind and was not interested in what the boat owners had to say. It will soon be illegal to store dinghies along the 18km of foreshore in the City of Melville, where the council estimated more than 200 boats were scattered. The City held the workshops to discuss launching options with boat owners, but dozens said they were disappointed with the decision. ‘We don’t agree with it and we are upset with the council that they voted on the plan without discussing it, but we will have to work with it,’ Bicton resident Warwick Pointon said. The boat owner said he supported some sort of management plan being established to remove the abandoned boats but believed there could have been a better solution than a total ban. ‘Perhaps a licensing system could have worked where the City removes all the abandoned boats and the ones attached to moorings are licensed,’ he said. Another dinghy owner said dragging the dinghies through the foreshore and vegetation to get to and from the car would most likely do more environmental damage then leaving boats stored on the shoreline. Last December, Melville Council voted for the ban, citing a proliferation of dinghies, environmental degradation and limited public access of the riverpark. 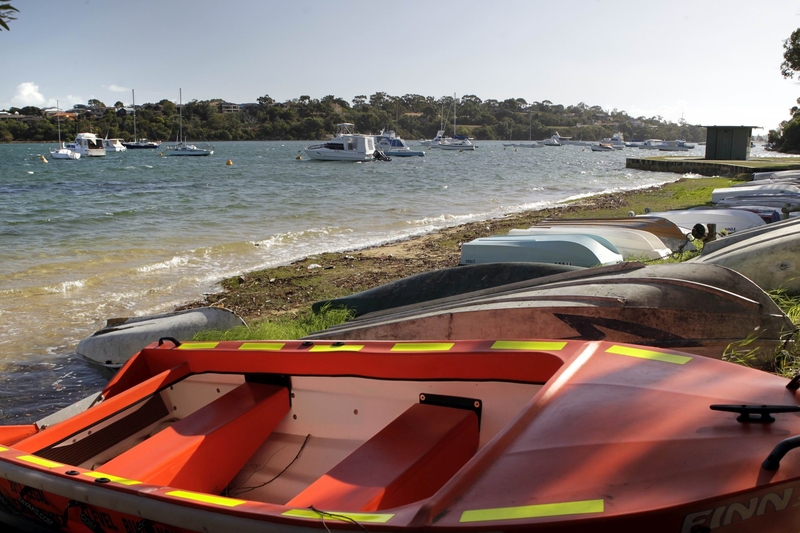 Eight of the 12 councillors agreed to bring in the rule that prohibits the dinghies to be stored along the shoreline, which was backed by the City of Melville, Swan River Trust and Bicton Environment Action Group (BEAG). At last week’s workshop, BEAG spokesman Peter Neesham said he supported the City’s decision after seeing the damage to vegetation and erosion first-hand. ‘People with dinghies have had it too good for too long, and it is now time to look after the environment,’ he said. City officers at the workshop said the City had explored a number of shared storage systems over the past seven years, but prohibiting the dinghies was the best outcome for the environment and community.